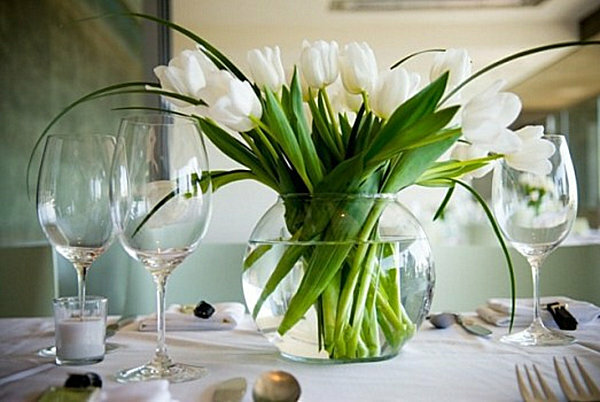 There’s nothing like a beautiful centerpiece to brighten a room! 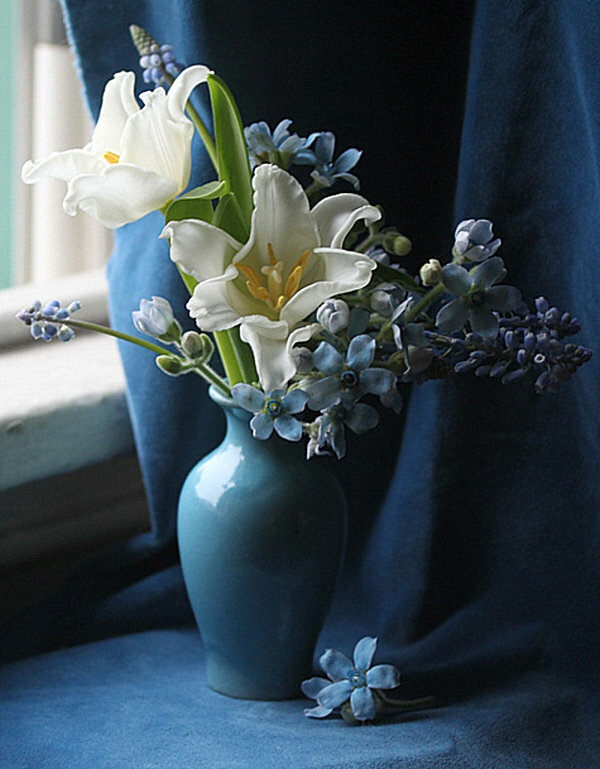 Yet many shy away from fresh blooms, assuming that an eye-catching arrangement of flowers will take too much time and care to assemble. Think again. 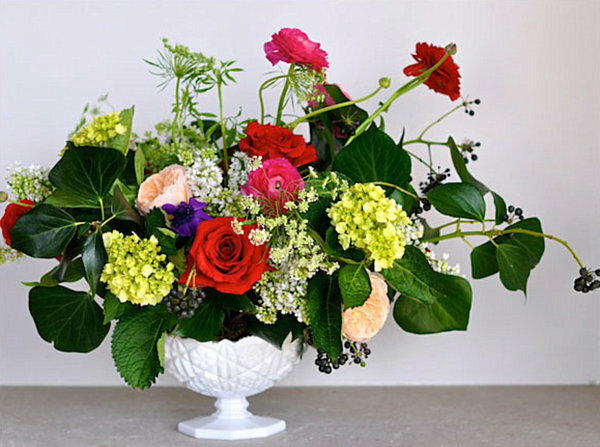 Today we showcase 25 dazzling floral arrangements in every shade of the rainbow. From reds and corals to purples and violets, there’s a hue for every design palette. Not to mention, we’ve featured a variety of styles to suit a range of preferences. 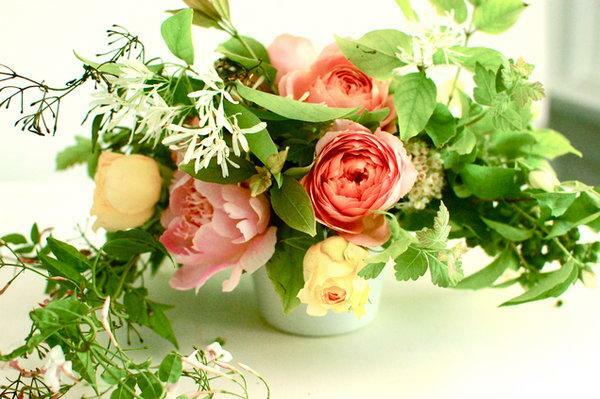 If your space is traditional, go for an English garden-inspired arrangement in an antique urn. 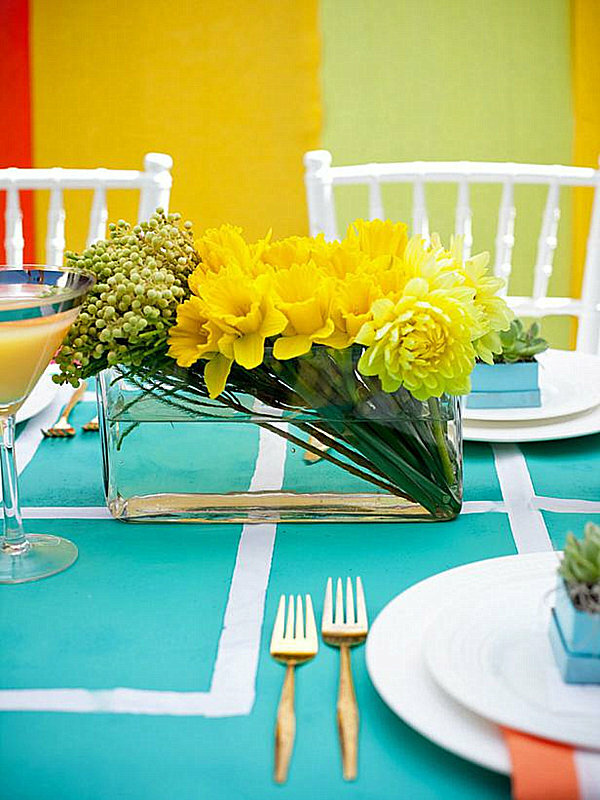 Or choose a wild yet polished centerpiece in bold colors. 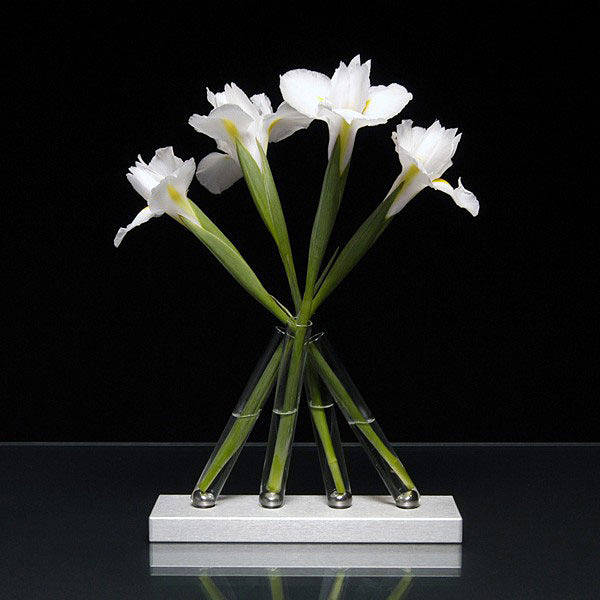 If modern is your game, there’s nothing like a contemporary vase holding flowers of the same shade. Throw in an air plant for an unexpected touch, and the possibilities are endless… Enjoy perusing the images below for a little design inspiration! 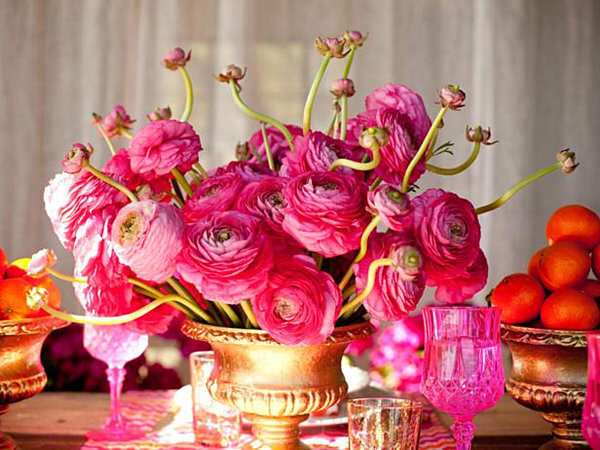 We continue our love affair with ranunculus, this time highlighting a shade of radiant pink. 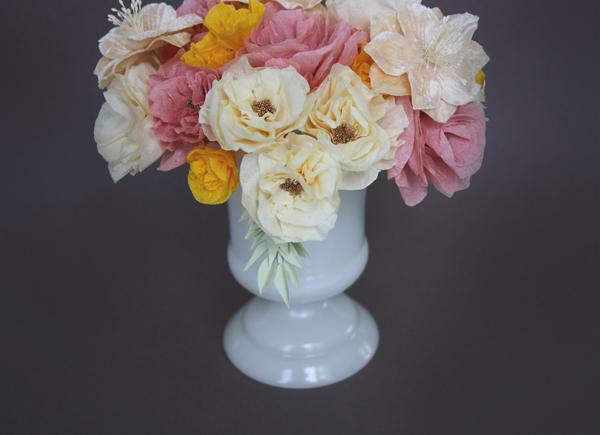 Also note how the flowers are contained in a milk glass compote. If fitting these cascading sprigs into a low container proves challenging, simply choose a taller receptacle. Don’t forget that having the flowers overflow asymmetrically keeps things interesting. For more details, check out Camille Styles. 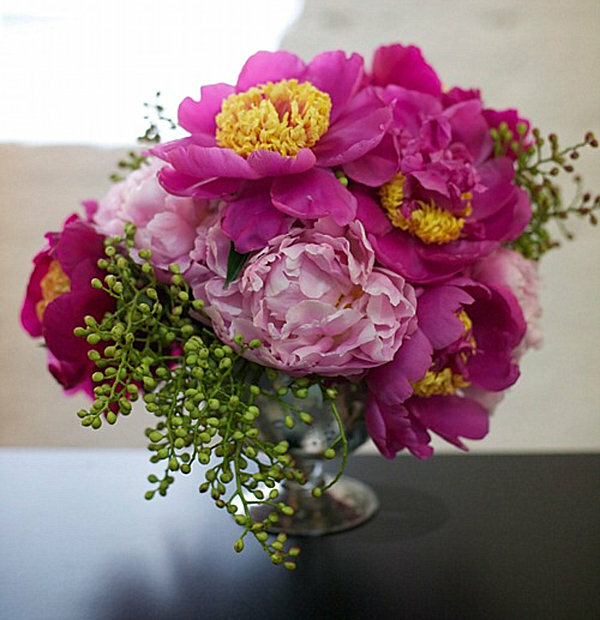 Another favorite among florists and design lovers alike is the peony, which bursts with color and adds layers of petals to a blooming ensemble. 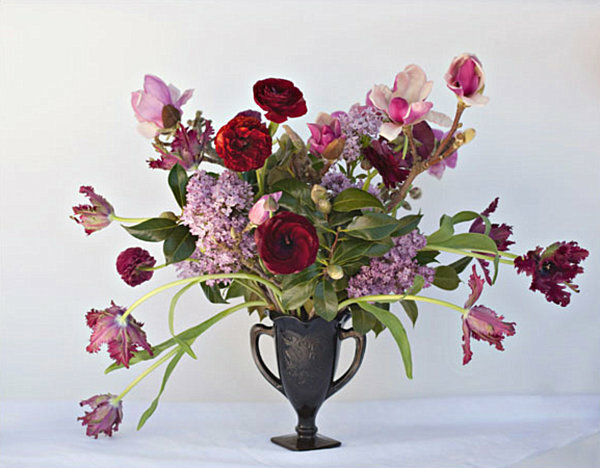 Factor in the appeal of an arrangement that layers shades of violet and pink, and you have an irresistible bouquet! 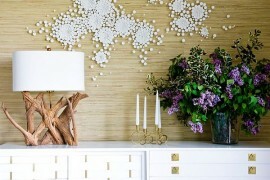 For more details, check out Design Sponge. 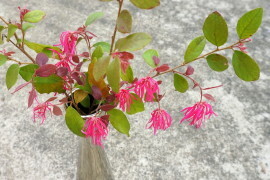 Sometimes the container is just as important as the flowers! 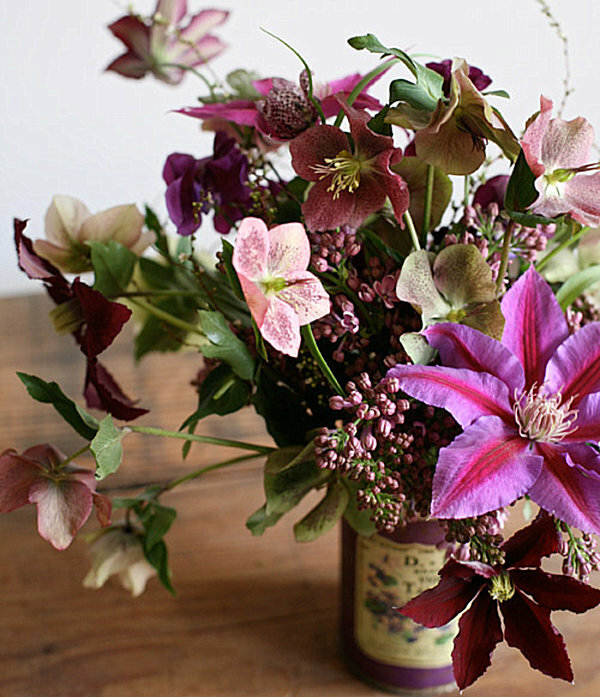 Below we see a wild bouquet of hellebore, tied with a ribbon and placed in a lovely vintage tin with other assorted blooms. 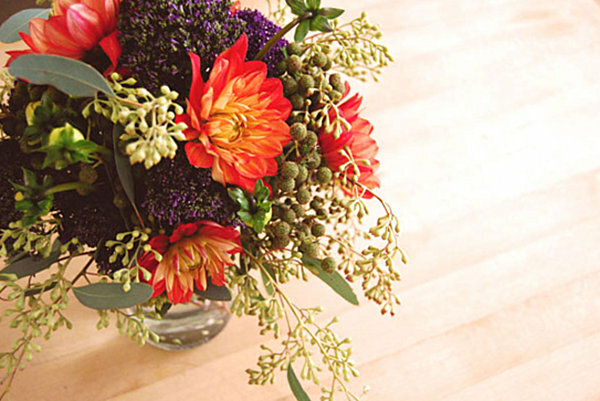 This centerpiece manages to be wild yet dainty. For more details, visit Design Sponge. 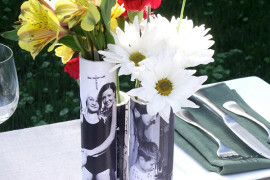 A simple glass vase can be dressed up with the help of ribbon and double-stick tape! 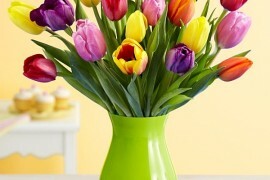 Not to mention, tape can be used to make a grid across the opening of the vase, which helps keep the blooms in place. 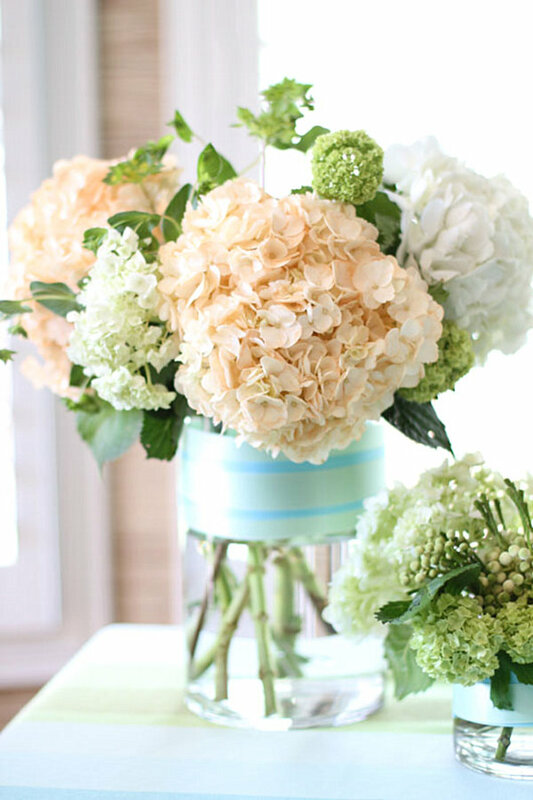 For a DIY hydrangea centerpiece tutorial using these exact techniques, check out For the Love of. 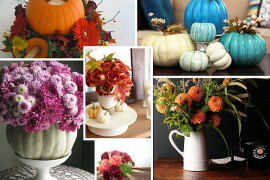 Are you in a flower arranging rut? 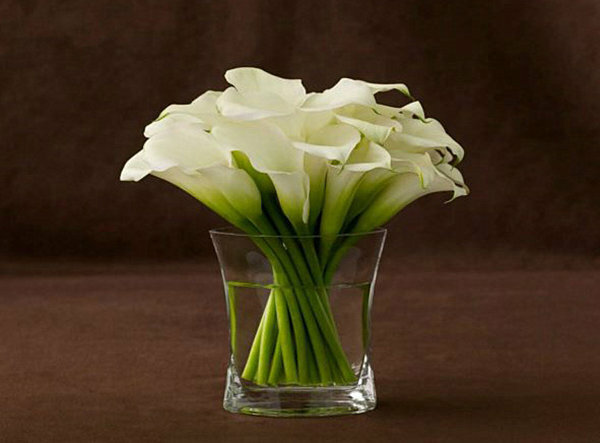 Add an element of surprise to your bouquet! While most people plant succulents in pots or the ground, these gardening favorites make a lovely addition to a centerpiece, especially a green one! 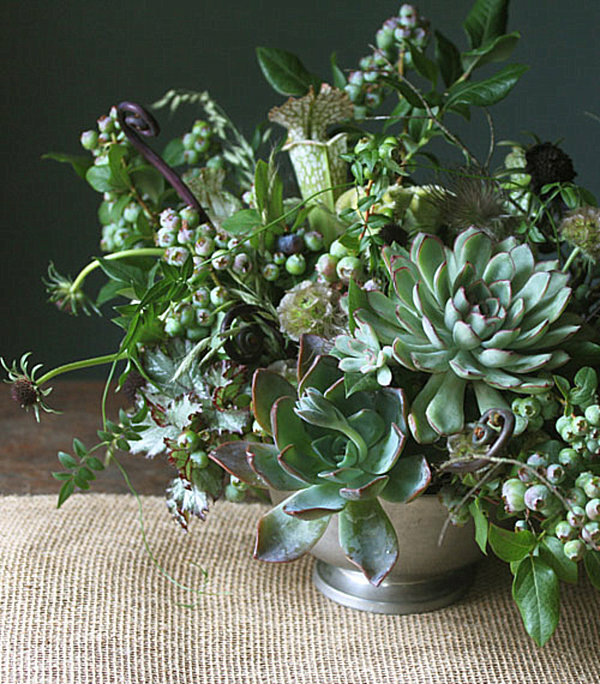 The arrangement below features wild succulents, unripe blueberry branches, scabiosa buds and pods, fiddleheads, jasmine vines and pulsatilla, all in a low bowl. 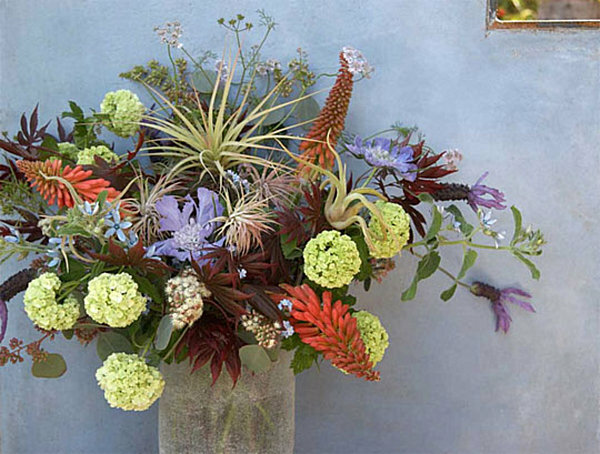 We think the succulents steal the show! 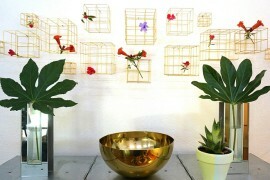 For more details, check out Design Sponge. 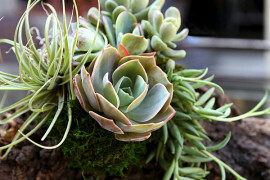 If you thought succulents added a touch of the unexpected to a floral arrangement, try incorporating air plants, also known as tillandsia! 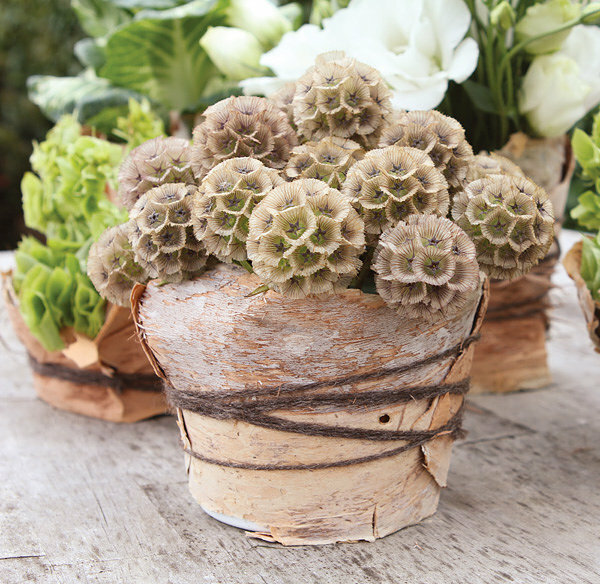 Sometimes spiky, sometimes softer in appearance, these plants bring an other-worldly element to a centerpiece. For additional information, check out Apartment Therapy. Would you believe the spread below was actually created for a holiday party? We think it has year-round appeal! 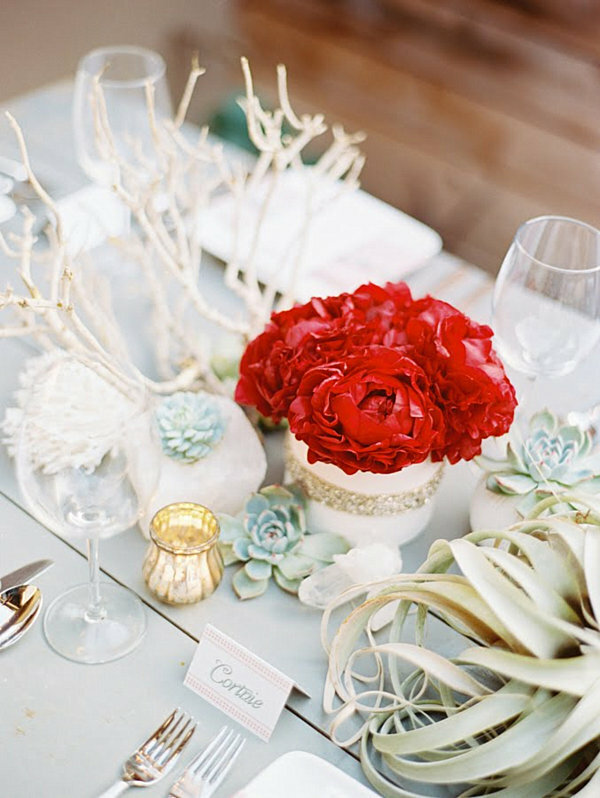 Not only are there succulents, air plants and peonies, coral-like branches add another dimension to the centerpiece! For more details, check out JL Designs. Another way to showcase multiples of the same flower type? 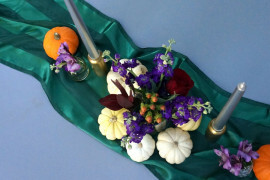 Use candlesticks as containers! 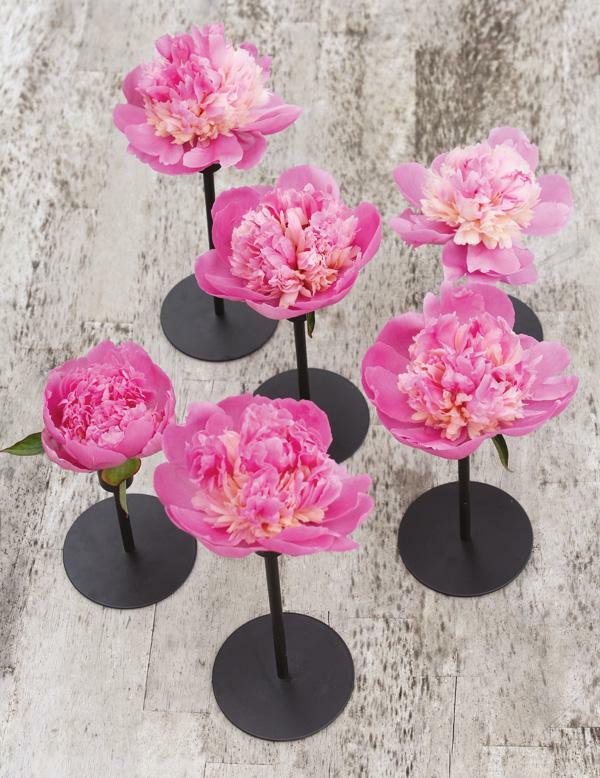 The peonies below each have their own pedestal, thanks to this fabulous tutorial by Hostess With the Mostess. 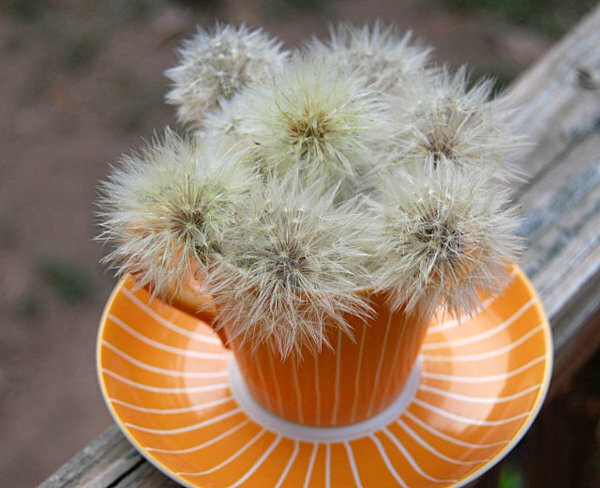 Speaking of dandelion seed heads, don’t they look charming in a teacup? 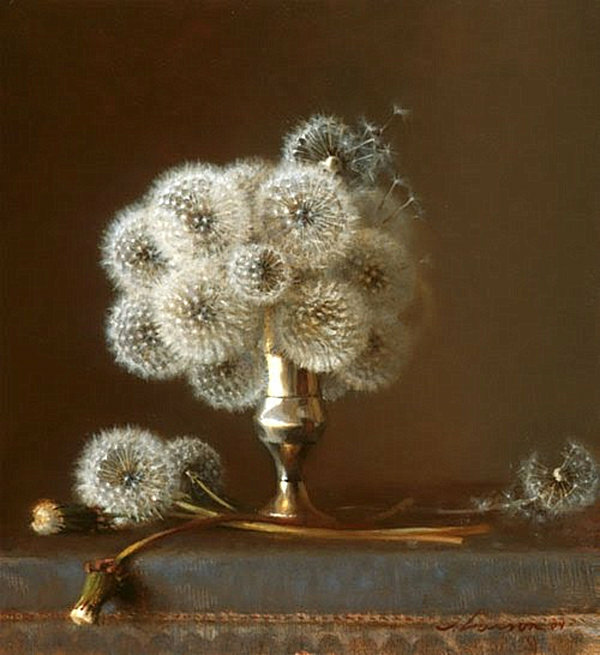 When displaying these delicate stalks, keep them out of reach of pets or kids whose activity could cause them to crumble! For an arrangement tutorial, check out Early Bright. There truly is power in numbers! The stellata pods below are fetching in a bark-wrapped plastic container. This original project is the work of Hostess With the Mostess. Mum’s the word! 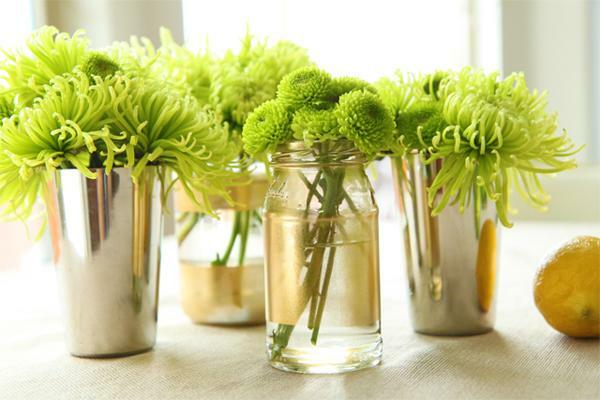 Lime green reigns in the centerpiece below, which features an assortment of mums in various containers. A full tutorial can be found at The Salty Pineapple. 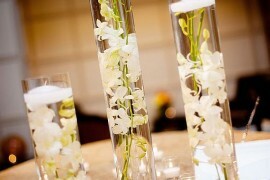 As you can see from the images above, there’s no one right way to create a flower arrangement! 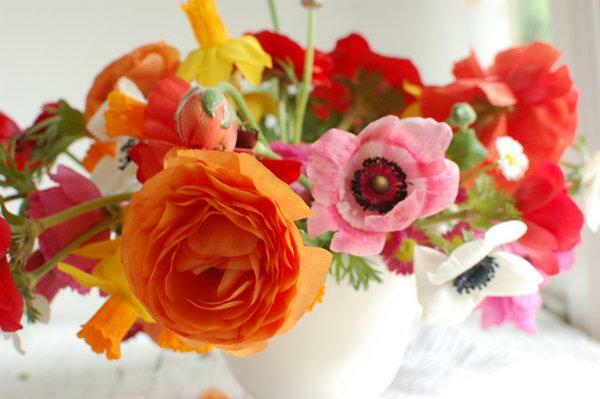 In fact, some of the most appealing centerpieces are spontaneous ones, crafted from a simple bunch of blooms and a container from your cabinet. 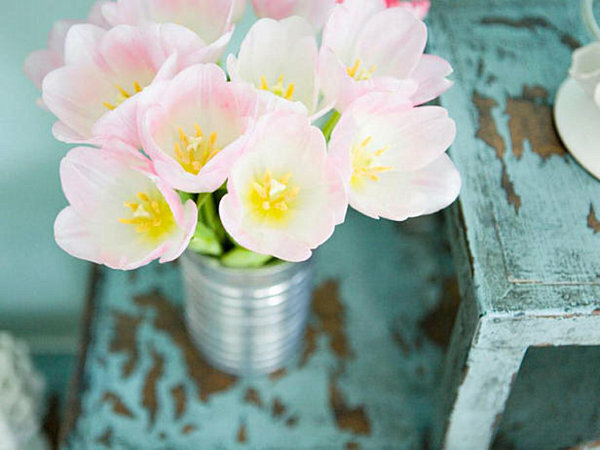 Look around your house…perhaps a vintage compote or empty food tin can be the vase you’ve always wanted! 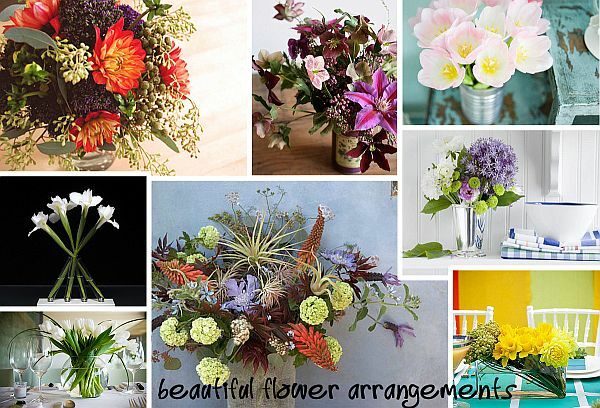 Don’t forget to check your yard and garden for flowers that can be combined with store-bought selections for a full bouquet. 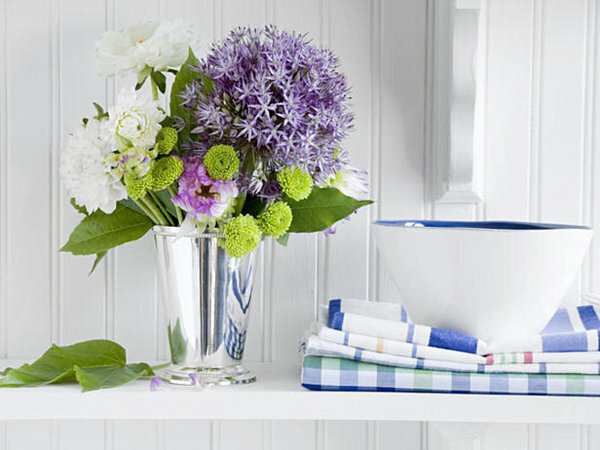 Summer is in the air–it’s time to bring the outdoors in!